The main purpose of medical cosmetology "Beauty Academy" is conducting various cosmetic procedures of the highest level in one place (different types of rejuvenation, epilation on alexandrite laser, contour plastic, removing facial wrinkles, hyperhidrosis, mesotherapy, plazmalifting, ozone therapy, treatment of problem skin, correction of figure, intimate plastic, non-surgical face lifting and more). 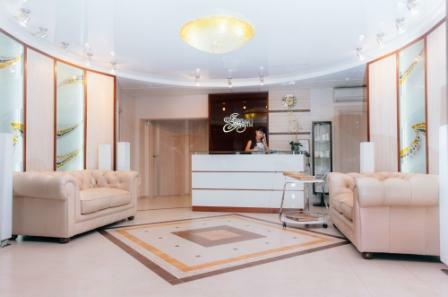 Our experts are ready to effectively keep up your form, actively fight with the signs of aging, make your face and body perfect; moreover it is possible without surgery! We have gathered the most advanced and innovative devices so you could find the best individual and complete solutions for your health and beauty. The clinic has the most advanced equipment from the world leaders in the sector. Patients are treated by doctors of the highest category with a lot of practical experience, a wide range of procedures performed by the most modern techniques. Individual selection of complex treatment ensures long-term and obvious result. Our specialists – laser therapists and cosmetologists - have a great experience, high qualification; they regularly learn new techniques, take courses and it is confirmed with numerous awards and certificates. "Beauty Academy" will help you to become even more beautiful with pleasure!